Polystyrene (styrofoam) is used in food packaging, toys, and electronics. It’s everywhere. Even inside our own bodies. March Is Kids Month At Rom Family Chiropractic!! All month long we will be featuring topics that are important for raising healthy kids! Our practice has worked with many families who have a child diagnosed with ADHD and we’d be happy to see if we can help you & your child too! Give us a call to set up an appointment and take advantage of the start-up special we are offering all month long for children 17 and under! Don’t forget our upcoming workshop: How to Raise Healthier Kids! 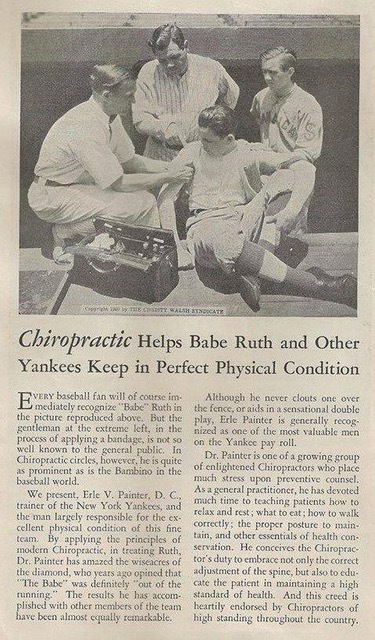 While most of us won’t agree on who will win the World Series, there is no argument that everyone from Babe Ruth to Bryce Harper has looked towards chiropractic care to stay healthy throughout the season!! Have you thought about having a chiropractor as a part of your healthcare team? Interesting study showing how even dim light exposure while sleeping may increase the likelihood of cancer metastasis. Getting your room as dark as possible is best for restorative sleep. Looking for ways to get better sleep? Start this weekend & check out this article!